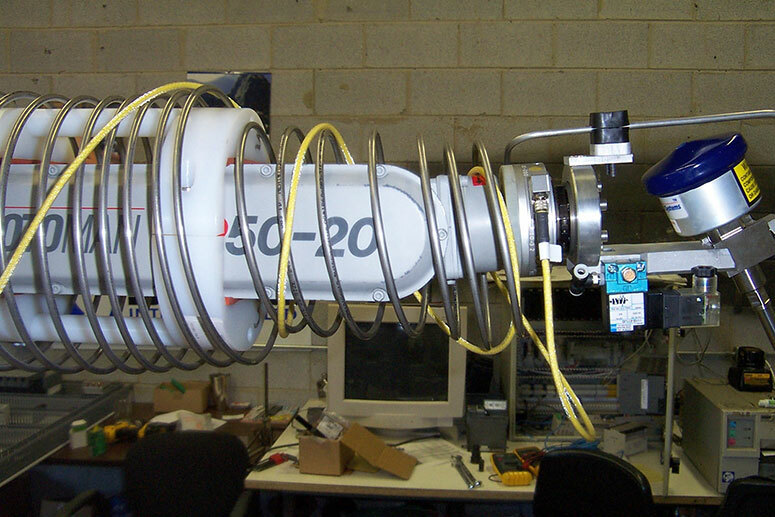 SPOKO Integrators Ltd. provided a robotic cell for cutting carpet for an automobile floor liner. 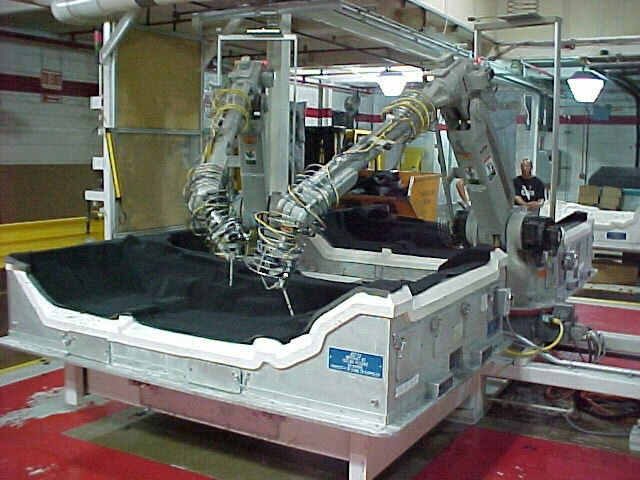 Two robots outfitted with 50,000 psi water jet equipment traced and cut out the shape of the automotive carpet from a previously molded oversized piece. The robotic waterjet cells offer a low maintenance and highly flexible alternative to hard trimmers. The biggest challenge in this project was ensuring a precise and repeatable cutout while ensuring optimal cycle time.